Cities pave our streets, fight crime and fires, bring water to our taps, pick up waste and recycling, build and maintain our parks, protect our creeks and wetlands, and provide opportunities for us to get active. 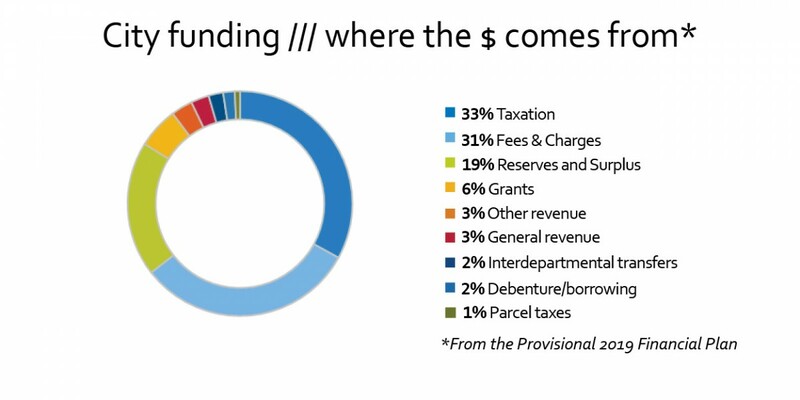 To pay for services and projects, the City must raise money. Funding comes from a number of sources including fees and charges, reserve or surplus funding and taxation.